Luxurious and practical, the hard-wearing qualities of this natural material have been proven and tested throughout the centuries due to its many uses. Naturally beautiful, warm and durable our genuine leather floors make the most luxurious and contemporary statement without sacrificing practicality. 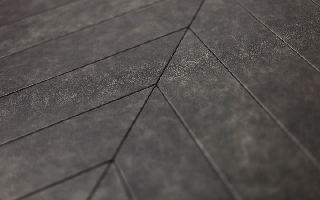 Leather floor tiles to suit any setting. Choose from 9 tessellating tile designs with a selection of colours and textures to create the perfect combination. Further choice of comfort under-foot is offered from either flat or padded tiles. Catering to a wide range of styles. 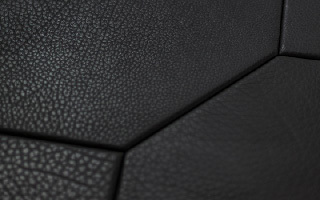 Our flooring leathers come in a variety of 55 colours, grains and textures to enhance any interior scheme. We have wide range of leather flooring to suit both residential and commercial areas. All of our leather flooring is suitable for use with underfloor heating and come independently tested for wet and dry slip resistance. The process of selecting and specifying an ALMA Floor is very simple through 4 easy steps. We can then provide an estimate for supply and fit as well as any aftercare requirements you need. Select the tile shape from any of the 11 shapes as standard. 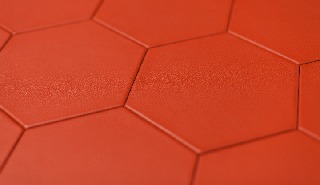 Select the leather colour and texture from the 55 leathers in our collection. Choose whether you would like to add padding or not. Work out the floor surface area in square metres and supply this to us with the rest of your choices. 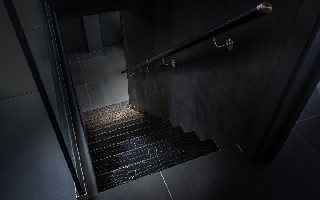 All of our genuine leather flooring tiles are manufactured and supplied from our dedicated London factory and fitted by our own expert leather floor fitting technicians. All ALMA Floor leather floors fitted by the ALMA installation team are offered with a 10 year guarantee, details of which are available upon request. We also offer specialist after care service packages to ensure the longevity of your leather floor for many years to come.